If countries could reduce the proportion of their 20-24 year olds not in employment, education or training (NEETs) to German levels, most OECD nations could achieve substantial long-term boosts to their GDP levels, ranging from around 2-3% in the UK, US and France to 7-9% in Spain, Greece, and Turkey. The total economic gain across the OECD could be over $1 trillion in the long-term from reducing NEET rates to German levels. 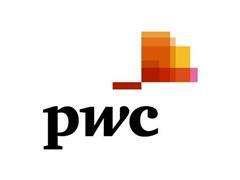 LONDON, 26 October 2016 – The core European countries of Switzerland, Germany and Austria once again take the top three places in the PwC Young Workers Index, which compares the labour market impact and educational participation of people aged 15-24 in 35 OECD countries over the period since 2006. Countries further down the rankings could add billions of dollars to their economies in the long run if they follow best practice in harnessing this potential, according to the new PwC analysis. The top performing trio of countries were able to maintain low youth unemployment after the global recession as a result of their strong educational systems that promote vocational training and apprenticeships, which have helped to minimise the number of young people slipping through the labour market net. The report also estimates the potential long-term boost to OECD economies if they can reduce their NEET rates (Not in Education, Employment or Training) to German levels, the leading EU country in the index. The potential gains could range from just 0.1% of GDP in the Netherlands, up to around 2-3% of GDP in the US, UK and France, with the highest potential gains being in Turkey, Italy and Greece of around 7-9% of GDP. Across all OECD countries the potential long term boost to total GDP could be of the order of $1.1 trillion. “We have identified three key labour market themes which commonly feature in high performers on our Young Workers Index. “First, a German-style dual education system that incorporates both vocational training and classroom learning could provide young people with more options in their transition into the working world. Boosting the number and quality of apprenticeships across all industry sectors can also help here as can a greater focus by schools on key transferable skills like mathematics. “Secondly, changing employers’ perceptions of youth and encouraging early engagement in schools – such as work experience, career advice, mentoring and youth-led social action - could increase youth employability and engagement. Methodology: The PwC Young Workers Index is a weighted average of eight indicators, including NEET rates, employment and unemployment rates, relative unemployment rates, part-time employment rates, incidence of long-term unemployment, school drop-out rates and educational participation rates. The age range covered is generally between 15 and 24, but varies as appropriate by indicator. These indicators are normalised, weighted and aggregated to generate index scores for each country. The index scores are rescaled to values between 0 and 100, with the average value across all 35 OECD countries set, by definition, to 50 in 2006. Index scores were also calculated for 2011, 2014 and 2015 (or the closest years for which internationally comparable data were available). Further details of the methodology, including the calculation of potential long-term boosts to GDP from lower NEET rates, are contained in the full report. A copy of the PwC Young Workers Index will be available from 26 October 2016 at www.pwc.co.uk/youngworkers.